Firing up a charcoal barbeque to grill up a meaty feast has long been a symbol of summer fun. After all, who doesn’t love a good hamburger, steak, or sausage hot off the grill? In recent years, however, scientists have discovered that summer barbeques can carry some health risks. Charring meat over high flame creates compounds that damage our DNA and can lead to cancer development, and eating a lot of red meat increases the risk of cardiovascular disease and some cancers. Fortunately, you don’t have to give up your backyard barbeque. Here are some ways that you can keep your summer traditions and your health. 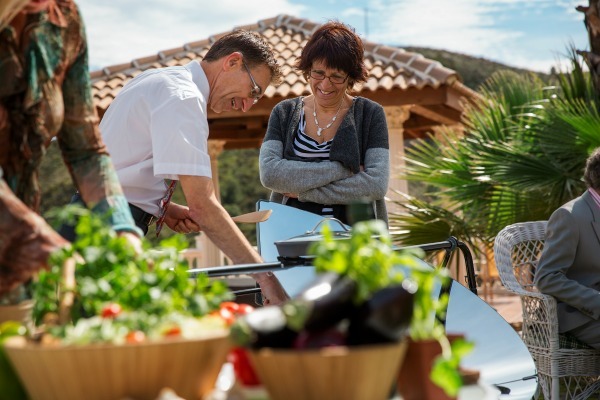 Both solar grills and gas grills allow the backyard chef greater control over cooking temperature, so you won’t get any blackened edges. And, unlike charcoal, they do not give off harmful smoke. 2. Grill up some veggies! Adding vegetables to your grill in place of some meat will kill two birds with one stone. Not only will you decrease the health risks of eating too much meat, but you’ll also cut down on the HCAs that are formed when meat is cooked over open flame. Try a classic vegetable skewer, get creative by grilling heads of radicchio lettuce for a salad, or serve slices of grilled pineapple for dessert. HCAs form under high heat, so you can decrease your risk dramatically by grilling at a low enough temperature to prevent blackened, charred edges. Choose cuts of meat that you can cook low and slow to preserve a delicious grilled flavor. If you do happen to get any blackened edges, scrape or cut that part off. You don’t have to sacrifice your grill marks to be healthy! 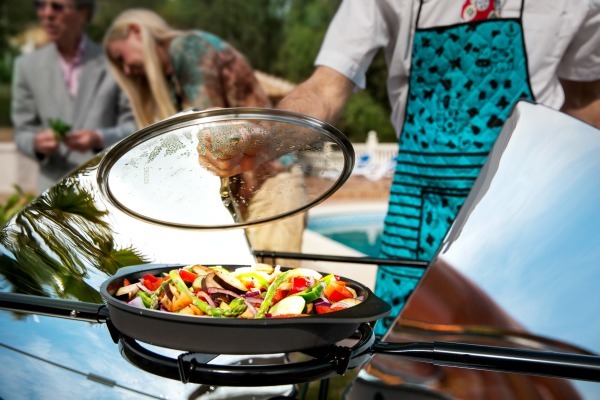 Instead of cooking over a hot charcoal fire, use a grill pan like the SolSource Grill Pan on our solar stove to get nice, crisp grill lines all summer long.